When Italian astronaut Luca Parmitano arrives at the International Space Station next week, he’ll be dining on familiar food. The new ISS menu includes lasagna, risotto with pesto and another with mushrooms, caponata (a mixed vegetable dish including eggplant, zucchini, onions, and tomatoes), eggplant Parmesan, and for dessert—tiramisù. 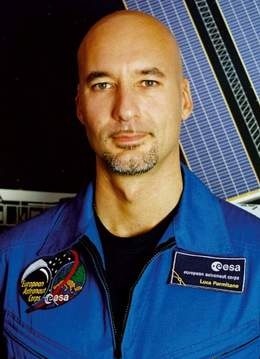 While it isn’t the first time an Italian has gone to the space station, it’s the first time for authentic Italian food. Heretofore, meals consumed there originated with the United States space agency, NASA, or its Russian counterpart, Roskosmos. 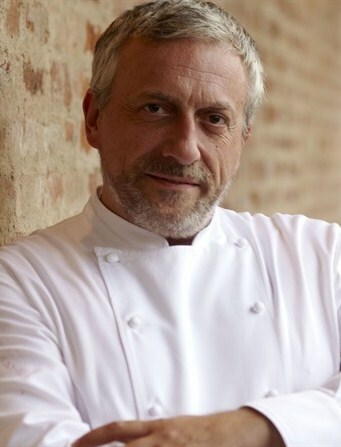 Chef Davide Scabin, whose Combal.Zero in Castello di Rivoli, near Turin, ranks as one of the world’s 50 best restaurants and holds two Michelin stars, developed the menu. He spent a year and a half researching ways to devise tasty, flavorful dishes while adhering to NASA’s strict guidelines. All food headed for the space station must be treated to remove bacterial contamination, dehydrated, and packed in individual aluminum pouches. Each meal must also have a 36-month shelf life and be prepared without salt. Against this rigorous backdrop, Chef Scabin discovered another challenge. “The olfactory system doesn’t function at 100 percent in space. The astronauts eat with the sensation of having a cold,” he said in a recent interview. He further explained that for flavors to be fully appreciated, both the senses of taste and smell must work together. Chef Scabin experimented with ways to concentrate the flavor in the foods he prepared. He developed 15 different dishes—including Parmitano’s requested lasagna and risotto—before settling on the five that have already arrived on the ISS. The scheme to send Italian food into space has given a boost to the Made in Italy program that promotes Italian products at home and abroad and has renewed interest in scientific studies. The dishes were unveiled with much fanfare in February at an event for the Italian and European space agencies and government dignitaries. Chef Scabin himself placed a plate of lasagna in front of Parmitano. The dishes in the new menu have also been sampled by members of an international astronaut training program. One element of the training includes sending a multi-national group of astronauts into a cave for a week to gain experience working in a confined space in a multicultural environment. Before going underground in Sardinia, the astronauts gave thumbs up to Chef Scabin’s food. The beginning of this video shows their reactions. Everyone eating the Italian space food is getting a good value. The average price per person for a meal at Combal.Zero is 160 euros—about 200 dollars. Chef Scabin has dropped hints that there is a “special celebration meal” for the ISS crew. Since Parmitano turns 37 on September 27, I’m guessing that’ll include birthday cake. Lucky astronauts! The food sounds wonderful. Oh, dear, I may have to go out for tiramisu this evening. It's good here, though I've never been to Italy to have the real thing. They are lucky, aren't they. Tiramisù is available everywhere here--even in packages at the supermarket dairy case! It's better from a pastry shop, however. I'm so jealous. Even in space they get better tiramisu that I can get here on earth. Oh, I'm so sorry, HSS. The idea of freeze drying tiramisù seems horrible at first, but the people who have sampled it say it's quite good.